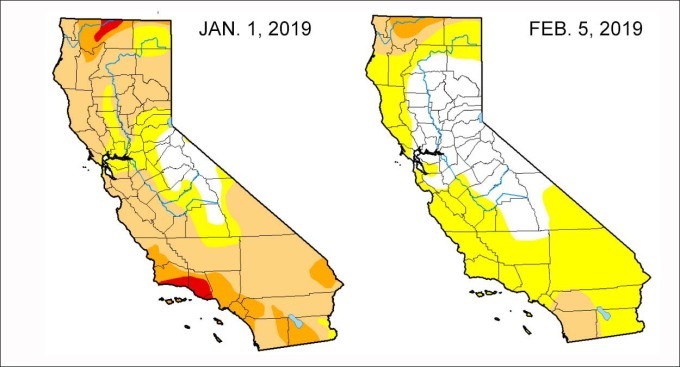 These maps show drought conditions in California at the start of 2019 and on Feb. 5, 2019. White areas indicate no drought, yellow areas are abnormally dry, tan indicates moderate drought, orange is severe and red denotes areas of extreme drought. 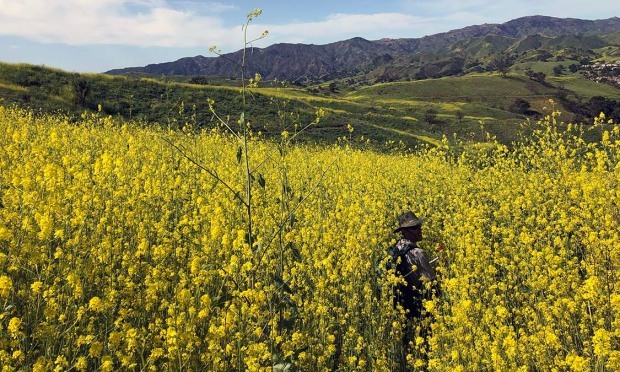 Just about 10 1/2 percent of California -- in the far north and south -- is categorized as being in moderate or severe drought.